Thanks for another great challenge Hazel! Wonderful inspiration here! 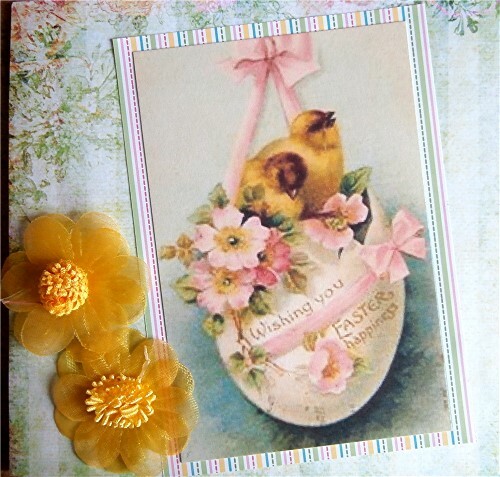 Love your card - so pretty! I'm already a follower and I have your badge on my sidebar. Thank you for the challenge and the fab prize you are offering! Wishing you a lovely day! I am very excited to come across your challenge blog....this is just what I need!! I have thousands of patterned papers, and I am very squeamish about using them! I have orgnanized them recently, and am ready to challenge myself to use them more & more!! 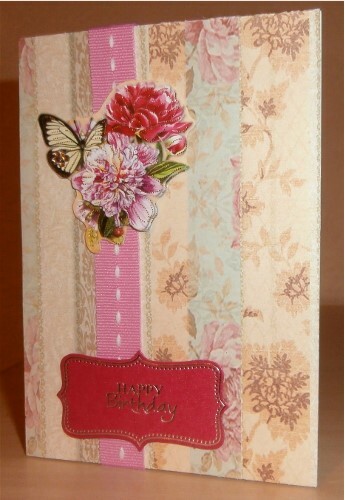 Love your card Hazel - I've just realised you have this challenge so I have entered my card. Thank you so much for a great challenge. 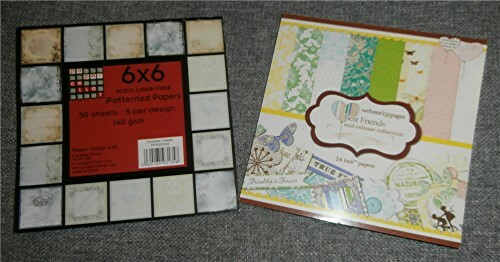 Thanks for the great challenge Hazel and the chance to win such beautiful papers. 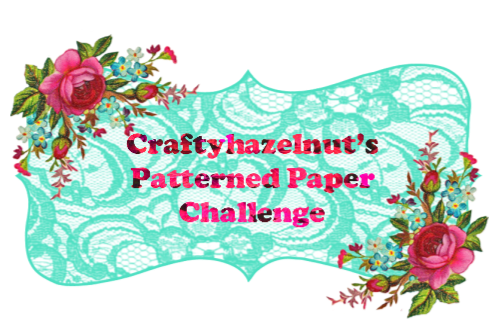 Hi Hazel, thanks for another brilliant challenge for patterned paper users! Hey Hazel, I just found your new challenge today. What a fun one this will be *U*. Thank you. 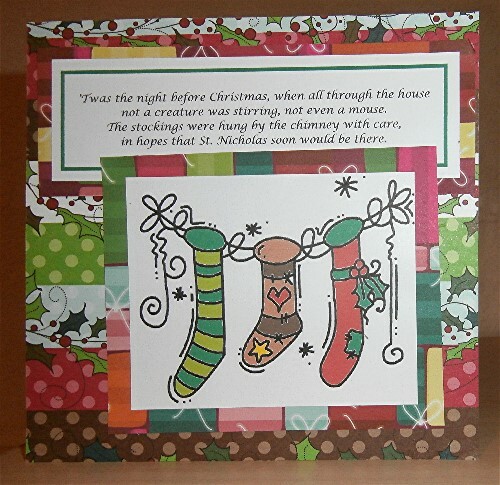 Another great challenge Hazel Your card is really pretty. Love the paper you chose. Away for a bit and then will be back with another card. A really fun challenge blog idea!! I know I have enough DP for a lifetime. LOL But, I just can't resist all that beautiful paper!! Fabulous cards in your challenge! and all so different! Wow, Hazel!! I see your work as part of the Sister Act Challenge Blog, but happened across your challenge from Pile It On. I am wow'd by the number of entries you have. Good for you! And what a brilliant idea for a Challenge! Every time I go into a store and walk out with more patterned paper, I think, "I need this as much as a hole in the head!!" So I have been determined to use it rather than collect it. Thanks for the additional incentive. This iis so popular...look at all these fab entries! Thanks for the chance to win!